Dadra and Nagar Haveli is a union territory in western India. It is composed of two separate geographical entities: Nagar Haveli, wedged between Maharashtra and Gujarat, and, 1 km to the northwest, the smaller enclave of Dadra, which is surrounded by Gujarat. 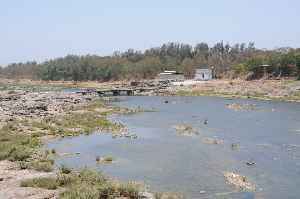 Silvassa is the capital of Dadra and Nagar Haveli. Unlike the surrounding areas, this was ruled by the Portuguese from 1783 until the mid-20th century.